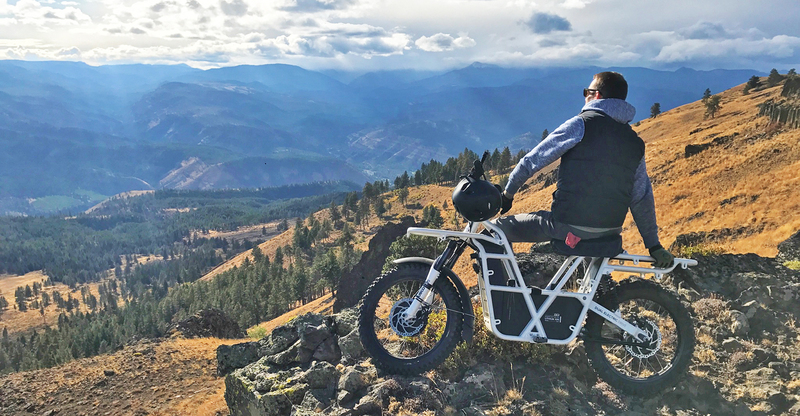 UBCO was founded on the idea of a Utility Electric Vehicle (UEV) that would transform the way people ride, work and play. UBCO has established an Oregon (US) based office, launched their road legal 2x2, and grown revenue to ~$3m. Since it was established in 2015, UBCO has evolved into a digitally connected UEV platform including on and off road transport (2×2), portable power, accessories, and cloud-based software. Founded in New Zealand, UBCO can now be found in international markets including the United States and Australia. Since their last capital raise in early 2017, UBCO has established an Oregon (US) based office, launched their road legal 2x2, and grown revenue to ~$3m (last 12 months). UBCO launched its first UEV in its home market of New Zealand in 2016. 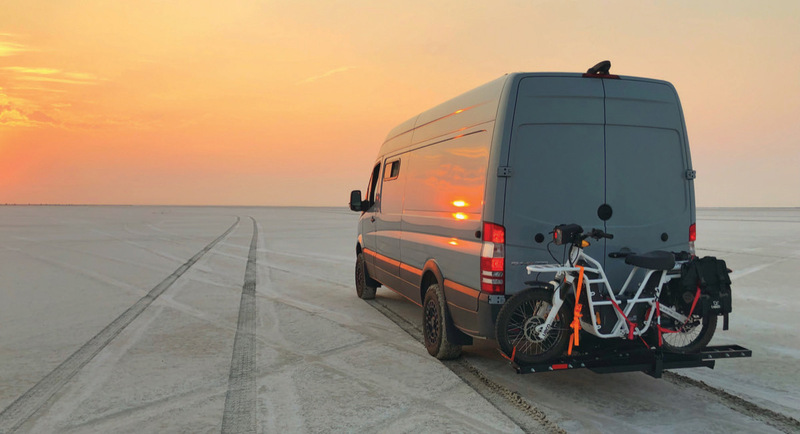 The bike was named the 2x2 for the two hub motors in its front and rear wheels which enabled better traction and more torque in off road conditions. Initial production runs sold out quickly and UBCO established good credentials and a global following in this market. Along with the sale of UEVs, UBCO has also developed an eco-system of products and services that provide additional lifetime customer value; these include Portable Power, Accessories, and Software as a Service (SaaS) products. By 2017, customers had indicated the desire for a road legal version of the 2x2. UBCO then launched the Dual-Purpose 2x2, built on the same chassis, but designed for road legal compliance within the United States and Europe. A cornerstone of UBCO's after sales support is their Dealer Training Program and the UBCO Distributor & Dealer Portal. Dealer training in the form of workshops and online content capped with accreditation ensures all dealers are equipped to both sell and service UBCO products. Timothy Allan (CEO): Tim Allan has over 20 years of experience as an innovation and R&D Leader. Prior to leading UBCO, Timothy established his own product development company Locus Research and led it for 15 years. Katherine Sandford (Chair): Katherine is a professional Director, serving on several Boards as well as chairing the UBCO Board of Directors. Katherine developed her career at Trimble Inc and held leadership roles in Customer Service, Sales & Distribution, and served as General Manager across several vertically focused businesses. Daryl Neal (Co-Founder/Director): Daryl has over 20 years of experience as an Industrial Designer, 10 of which have been in the field of electric transportation. Daryl has been responsible for the introduction of numerous products to the international market. Robert (Bob) Ralston (UBCO US): Bob is a visionary entrepreneur with an eye for detail. Bob founded Feeney Wireless and developed it into an leader in the field of IoT before exiting to Novotel Wireless in 2015.
on and off road electric vehicle manufacturers (e.g. Zero, Alta), incumbent combustion engine manufacturers (e.g. Honda, Yamaha, Polaris Industries etc) and manufacturers of sub-10kW portable power supplies (e.g. Goal Zero). The UBCO 2x2 is the only vehicle of its type in production in NZ, AU, US and EU. The primary competitors are the mainstream brands which manufacture combustion engine vehicles (2 and 4 wheel). Consumers buy the UBCO product because of the design, quietness, safety, utility and simplicity, and also increasingly for sustainability reasons. The UBCO brand has positioned the product as an attractive option within the outdoor and adventure market in the US. UBCO sales growth is primarily driven by increase in global dealer network selling the UBCO 2X2 Utility Bikes through US, AU, EU and NZ. The forecasts assume that up to $5m of capital is raised progressively over the next 12 months. * Years are expressed as Financial Years April 1st to March 31st. Not calendar years. Figures 2016-2018 recorded as actual. 2019-2023 are expressed as prospective. Please register your investment interest below if you would like to receive further information and gain early access to the offer when it launches.